KEYSTONE – Republicans trying to oust a Democratic governor and U.S. senator made their cases to nearly 380 party loyalists during at a dinner at Keystone Resort on Friday night. After their speeches, Republicans took a straw poll and gave top honors to gubernatorial candidate Josh Penry, the state Senate minority leader, and former Lt. Gov. Jane Norton, who is running for the U.S. Senate. 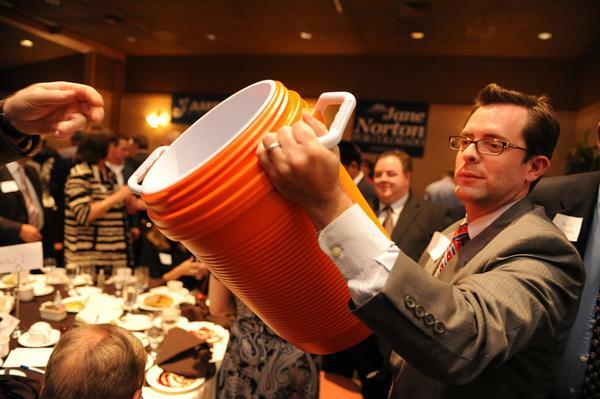 Norton received 119 votes, while second place was a tie between Weld County District Attorney Ken Buck and Aurora City Councilman Ryan Frazier, who each received 94 votes. Penry, one of three candidates vying to unseat Democratic Gov. Bill Ritter, won easily with nearly 80 percent of the votes. However, one of his chief rivals, former congressman Scott McInnis, had pointedly declined to participate in the poll. McInnis received about 11 percent of the vote.